Our flagship product is the ZEROCAP™ Cable, a near zero capacitance guitar cable that brings all of the sound of your guitar or bass to the amplifier, without any tonal coloring whatsoever. Hear your guitar for the first time! Check it out here. 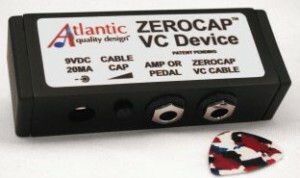 For more tonal flexibility, try the ZEROCAP™ VC Cable. The VC stands for variable capacitance. 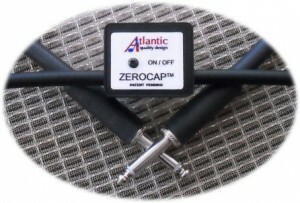 With this patented system you can dial in cable capacitance to get the sound you like, even emulating other cables on the market. Get more information and hear sound clips here. Our PM-150 audio power meter connects between your guitar or bass amp and the speaker(s), and measures how much power is being produced. This gives you a solid reading of power no matter the acoustics of the space in which you are playing. Also with a speaker protection feature. More details here.